The Mechanical Systems Division is involved in just about every flight project at Goddard as well as numerous proposals for future missions and technology development activities. Missions supported by the MSD cover everything from critical Earth Science missions monitoring global change, to Space Science explorations of the Sun and planets in our solar system, to missions answering questions about the origin and fate of the universe. Our engineers are involved in the entire life cycle of a project from the early preliminary design stages, through detailed design and analysis, integration and testing, and providing support at launch sites. We support projects launched on everything from small sounding rockets, to the largest of launch vehicles as well as missions launched on balloons and science payloads attached to research aircraft. 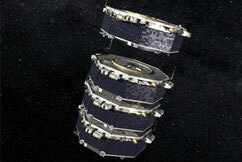 A formation of 4 spacecraft that will precisely measure the magnetic environment around the earth to help our understanding of how those fields interact and effect “space weather.” MMS is scheduled to launch in March, 2015. 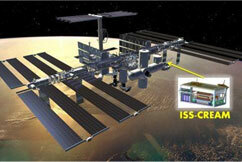 Building on the success of the Cosmic Ray Energetics And Mass (CREAM) balloon flights, the instrument is being transformed for accommodation on the International Space Station (ISS). The ISS-CREAM mission is planned to launch on a Space-X Falcon 9 from Cape Canaveral in mid-2017 as a secondary payload on an ISS resupply mission. 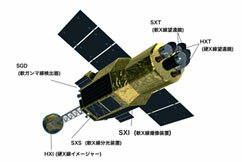 ASTRO-H is a powerful orbiting observatory being developed by the Japan Aerospace Exploration Agency (JAXA) for studying extremely energetic processes in the universe. 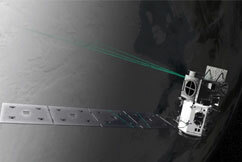 NASA and the JAXA/Institute of Space and Astronautical Science have teamed up to develop a high resolution “Soft X-Ray Spectrometer” (SXS) for ASTRO-H. SXS will observe matter in extreme gravitational fields obtaining time-resolved spectra from material approaching the event horizon of a black hole. 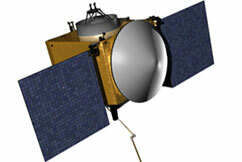 The Joint Polar Satellite System (JPSS) is the Nation's next generation polar-orbiting operational environmental satellite system. JPSS is a collaborative program between the National Oceanic and Atmospheric Administration (NOAA) and its acquisition agent, National Aeronautics and Space Administration (NASA). 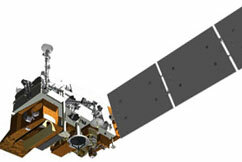 This interagency effort (JPSS) is the latest generation of U.S. polar-orbiting, non-geosynchronous environmental satellites. 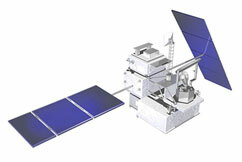 ICESat-2, slated for launch in 2017, will continue the important observations of ice-sheet elevation change, sea-ice freeboard, and vegetation canopy height begun by ICESat in 2003. Together, these datasets will allow for continent-wide estimates in the change in volume of the Greenland and Antarctic ice sheets over a 15-year period, and long-term trend analysis of sea-ice thickness. OSIRIS-REx seeks answers to questions that are central to the human experience: Where did we come from? What is our destiny? OSIRIS-REx is going to Bennu, a carbon-rich asteroid that records the earliest history of our Solar System, and bringing a piece of it back to Earth. 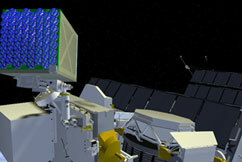 Goddard is also building the OSIRIS-REx Visible and Infrared Spectrometer (OVIRS) instrument. 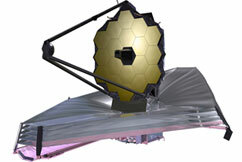 As large as a tennis court and sitting 1.5 million Km from earth, JWST will look back in time to the beginnings of the universe. Using the 6.5 m diameter telescope, the instruments on JWST will be able to see some of the most distant and faintest astronomical objects to answer questions about the formation of galaxies and solar systems. 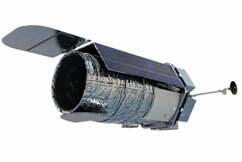 WFIRST Astrophysics Focused Telescope Assets (AFTA) design of the mission makes use of an existing 2.4m telescope to enhance sensitivity and imaging performance. WFIRST-AFTA will settle essential questions in both exoplanet and dark energy research and will advance topics ranging from galaxy evolution to the study of objects within the Galaxy and within the Solar System. 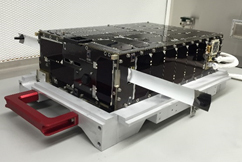 Dellingr is a 3-axis stabilized 6U CubeSat with an Ion-Neutral Mass Spectrometer (INMS) and three science-grade magnetometers (Dagr) intended to increase our understanding of the role of solar wind energy deposition on composition changes in Earth’s upper atmosphere. Launch is scheduled to take place on June 1, 2017 from the International Space Station. GSFC operates a small fleet of aircraft out of the Wallops Flight Facility that support NASA’s Airborne Science Program. These aircraft, which include a P-3 Orion, two C-130 Hercules, two C-23 Sherpas, a B-200 Kingair and a UH-1 Huey, are constantly being modified and reconfigured to accommodate the latest in earth sensing science instrumentation. Aircraft missions deploy around the world, including both poles, and support satellite calibration/validation, new sensor development, process studies, and foster the development of next generation scientists and engineers.